Your hosts is Charly Caruso. She is joined by Sam Roberts and Pat McAfee. We go to Sarah Schreiber in the back and she is with the Year End Awards Monitor. We see Ricochet arrive at the arena earlier today. Charly asks who is Johnny Gargano. Sam says Johnny probably doesn’t know who he is. Sam says Johnny has the match of the night but loses. If you keep losing, does it matter if you have match of the night? If he keeps losing, it does not matter. Pat says Johnny has pushed the greats to the limit. He says that he feels Johnny is focused. Pat says that Johnny puts on a show every time. Sam says that Johnny is focused but he keeps losing. We take a look at the nominees for Breakout Star of the Year. We go to Sarah to announce the winner and it is . . .
Ricochet says they have had an incredible 2018 and if he had to pinpoint one moment, it would be him winning the North American Championship. He is asked how will he maintain this level in 2019. Ricochet says he will do it when he beats Johnny Gargano and shows that there is One and Only North American champion. It is time to take a look at the match of the year from 2018 . . .
Johnny Gargano versus Andrade Almas at Takeover in January. Johnny Gargano is in the back and he is asked about being in the match of the year and his match tonight. Johnny says his name and match of the year go hand in hand. He won it before. Last year was the arrival of Johnny Takeover. Zelina Vega says it was match of the year because Andrade was in it. You didn’t win. What have you done since that match? Zelina mentions that Almas has moved on to Smackdown and defeated Rey Mysterio. You are attacking people in parking lots and wrestling on Takeover. This will be the Year of Tranquilo. Johnny says he did not win that match, but tonight he will have another match of the year and he will win. Sam talks about having pride for being in a match that he lost. Pat mentions that he won the award. We take a look at the Kassius Ohno versus Matt Riddle match. Charly asks how hostile will this match be. Sam says that he feels it will be real hostile. Ohno was the big free agent signee and now he is the welcome mat for the new talent. Pat says Ohno is bitter but Matt should be confident. Sam says Riddle has to focus on more than bros and flip flops. Pat says desperate times call for desperate measures. We are back and it is time for more awards. The winner of Male Competitor of the year is . . .
Ciampa gives the award back and walks away with Goldie. The winner of Female Competitor of the Year is . . .
Kairi thanks everyone for voting for her. Last year was great for her and she will do her best this year. It is time to talk about the NXT Tag Title Match and Bobby Fish arrives. Pat talks about how big it is for Bobby to talk for the Undisputed Era. Bobby asks Charly who it is next to Sam. Bobby says they are the Tag Team of the Year. Pat talks about the beards of the War Raiders. Bobby points out his beard. Sam asks what is their plan to defeat the War Raiders. Bobby says their plan is to be the Undisputed Era and this is their stage to shine. Bobby does his best to silence Pat by ringing the bell on his award. Bobby is asked about extra motivation and he says they don’t need any extra motivation. Bobby says they will capture all of the gold in NXT and then he tells Pat to be quiet. Bobby says he feels underdressed because he didn’t get his jean shorts. We are back with a look at the NXT Women’s Championship Match. Charly points out that Shayna might not be happy since Kairi Sane won Female Competitor of the year. Pat says we are going to get something special tonight. Sam talks about Bianca getting the opportunity tonight. Sam starts to stammer and then he talks about the champions in NXT and he wonders if Bianca Belair belongs in this match. He wonders if she is worthy of a Takeover. Sam says Bianca does not have a chance. He says that the rocks in Pat’s head even know that Bianca does not have a chance. He says they are wasting a match. Sam says she will be a champion some day, but not today. It is time for the Overall Competitor of the Year and it is . . .
Kairi says she cannot believe it. She says she is so honored to be here. Kairi says this has made her day. She says she will never forget this and she will be the Women’s Champion again in 2019. We see Aleister Black arriving at the arena earlier today. 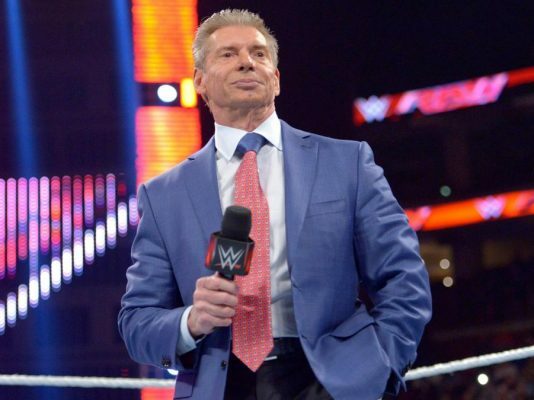 We take a look at the NXT Men’s Championship Match. Charly mentions that Black finally gets his hands on Ciampa. Pat mentions that Black was the champion and then he loses the title and gets attacked by Johnny Gargano. He says it is bad news for the angry dwarf. Tonight could be the night that Black regains the title. Sam says that you have to look at the champion. Fans knew about Ciampa but they did not think he would be the NXT Champion or champion this long. Sam says that the top five things are the title. Pat mentions that Black can hit Fade to Black at any time. 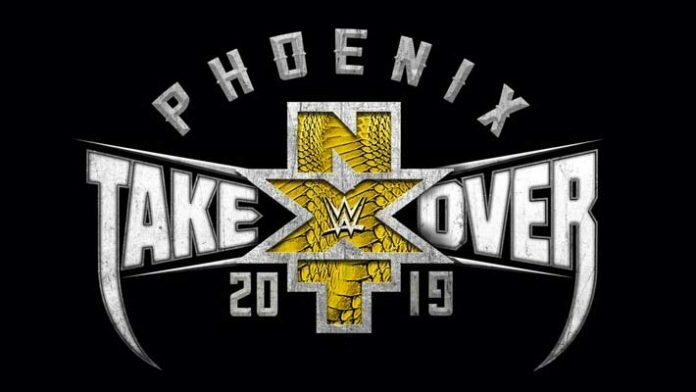 We are in Phoenix, Arizona and your announcers are Mauro Ranallo, Percy Watson, and Nigel McGuinness. Kyle and Strong go after Hanson and Rowe as the bell rings. Hanson is sent to the floor and Strong with a drop kick to Hanson. They focus on Rowe and Rowe with a clothesline to Kyle and then to Strong. Hanson with a double clothesline on the floor. Rowe picks up Hanson and slams him onto Kyle and Strong on the floor. Strong is sent back into the ring by Rowe and Strong bounces off Hanson on a shoulder tackle attempt. Hanson and Rowe double team Strong after a drop kick from Rowe and Rowe gets a near fall. Hanson tags in and Kyle breaks up a double team attempt. Rowe is sent through the ropes and knocks Hanson off the apron. Kyle tags in and Hanson gets back in the ring. Kyle and Strong double team Hanson. Kyle with kicks, punches, and knees to Hanson. Strong tags in and he chops Hanson while Kyle kicks Hanson. Strong sets for a suplex but Hanson blocks it. Hanson goes for a suplex but Strong lands on his feet and Kyle tags in. Hanson will not move on a double Irish whip attempt but they send him into the corner. Kyle and Strong with strikes and Kyle with a front face lock and he adds more pressure. Kyle with a guillotine but Rowe tags in and he hits a tilt-a-whirl gutbuster on Strong and Kyle with a forearm but Rowe throws Strong into Kyle. Strong stops Rowe from connecting with a power bomb on the apron. Rowe blocks a drop kick from Strong but Kyle with a knee. Hanson knocks Strong off the apron and Hanson goes for a suicide dive but Strong moves out of the way. Rowe with a uranage to Kyle followed by a drop kick to Strong. Rowe with a clothesline to Strong but Kyle clips Rowe. Rowe with a forearm and Strong tags in and hits a back breaker for a near fall. Kyle tags in and they drop Rowe on the top rope. Kyle with elbows to the ribs followed by a knee and a sliding knee into the ribs. Kyle with punches and he tries for a cross arm breaker but Rowe is able to block it and he picks up Kyle on a triangle attempt. Strong tags in and hits a half nelson back breaker for a near fall. Kyle with a choke but Rowe tries to get to his corner now that Hanson is back on the apron. Strong tries to knock Hanson off but Hanson stays on the apron. Strong pulls Kyle into his corner while Kyle holds on to the sleeper while the referee deals with Hanson. Rowe with an exploder to Kyle that knocks Strong off the apron. Kyle pulls Hanson off the apron to prevent the tag and Strong with a drop kick to Hanson on the floor followed by a drop kick to Rowe for a near fall. Kyle with a kick and forearm. Rowe with a forearm and Kyle with a kick. Rowe with a knee to Kyle and both men are down. Strong and Hanson tag in and Hanson with a back body drop and punches. Hanson with a side slam and a splash. Hanson misses a charge into the corner but he hits a seated splash. Hanson with a cartwheel to avoid Kyle and he clotheslines Kyle. Hanson with infinity clotheslines to Strong and Kyle. Kyle misses Hanson and hits Strong with a boot. Hanson with a power slam to Kyle and a bronco buster to Strong for a near fall. Hanson with punches in the corner and the referee warns Hanson. Strong with kicks and enzuigiri. Strong with a clothesline and both men are down again. Rowe and Kyle tag in and Kyle with kicks to the chest. Rowe blocks a take down and Kyle with a leg sweep when Strong tries to help. Strong with a gut buster to Rowe and Kyle with a forearm to Hanson. Rowe and Hanson with a pop up power slam and Hanson with a suicide dive onto Strong. Rowe gets a near fall on Kyle. Rowe with a back breaker followed by a tilt-a-whirl gutbuster and Doctor Bomb. Hanson with a frog splash but Strong breaks up the cover. Rowe sends Strong over the top rope to the floor and Kyle with a forearm to Hanson. Kyle and Strong take care of Rowe. Strong sets for a superplex on Hanson and hits it. Kyle with a knee drop off the turnbuckles but Hanson kicks out at two. Rowe with an elbow to Strong on the apron but Kyle with a kick and Strong with a backdrop driver onto the apron. Strong tags in and Kyle with a kick and then Kyle with a forearm and Strong with a back elbow. Strong with an Olympic Slam for a near fall. Strong with a knee and then they hit Total Elimination for a near fall. Kyle and Strong with knees but Hanson avoids a boot and hits a handspring double back elbow. Rowe tags in and Rowe with a power bomb and power slam combination. They get Kyle up for Fallout and hit it and Rowe gets the three count. We see Pete Dunne and Toni Storm in the crowd. Ricochet is in the back getting ready for his North American title defense. Riddle with strikes and Ohno goes to the floor after pushing Riddle away. Riddle goes to the floor and hits a forearm off the ring steps. Ohno avoids a kick and moonsault but Riddle hits a back senton. Riddle with a waist lock and he picks up Ohno for a gutwrench suplex. Ohno with a boot from the apron Ohno goes to the apron and Riddle with a forearm but Ohno stays on the apron. Riddle goes for a sunset flip power bomb to the floor but Ohno holds on to the ropes and puts the ring skirt over Riddle’s head and stomps on it. Ohno with a leg drop to the back of the head and he gets a near fall. Ohno with a cravate. Riddle with punches and Ohno pushes Riddle away and Ohno with an elbow and gets a near fall. Ohno kicks Riddle. Riddle with punches and Ohno with elbows and forearms followed by a boot to the head. Riddle goes to the floor and Ohno follows. Ohno sends Riddle into the ring post. Ohno with a cravate and he sends Riddle back first into the ring steps. Ohno breaks the referee’s count. Ohno with a forearm to Riddle on the apron and Riddle stays on his feet. Ohno with a boot to the head and Riddle gets back into the ring. Riddle counters a suplex into a sleeper. Riddle with a waist lock and Ohno stomps on the foot to stop the suplex attempt. Ohno grinds on the foot. Riddle blocks a knee and Riddle hits a deadlift German suplex for a near fall. Riddle with kicks to the chest. Ohno grabs the foot and bites the toes. Ohno with a knee to the head and it staggers Riddle. Ohno gets Riddle up and hits a running sit out power bomb for a near fall. Ohno goes up top and hits a moonsault for a near fall. Ohno pulls off the elbow pad but misses the rolling elbow. Ohno with a kick and two back sentons but Riddle applies a rear naked choke. Ohno rolls to the ropes to force the hold to be broken. Riddle with kicks to Ohno. Ohno begs for mercy and he wants a fist bump. Riddle grabs the hand and hits a knee to the head. Riddle with a sleeper suplex and he connects with elbows to the head and Ohno taps out. NXT Men’s Champion Tommaso Ciampa is in the back getting ready for his title defense and he has Goldie watching him. We see Velveteen Dream arrive at the arena and he is accompanied by his version of Wendy and Lisa. They lock up and Baszler with a side head lock. Belair backs Shayna into the corner and breaks. They lock up and Belair backs Baszler into the turnbuckles. Belair with a clean break and she tries to tell Baszler of her record but Shayna puts Belair into the turnbuckles and sends her to the mat. Shayna and Belair go for a syllable challenge but then they push each other. Shayna with a side head lock. Belair with a shoulder tackle. Shayna with another Irish whip and Belair floats over and flips in the corner. Belair with a take down and Baszler goes to the floor. Belair goes to the floor and sends Baszler into the apron. Baszler grabs the hair and pulls Belair into the ring post. Belair holds her shoulder while she writhes on the floor. The referee starts her count and Belair gets back into the ring at nine. Baszler with punches as she mounts Belair. Shayna gets a near fall. Shayna with a wrist lock and she manipulates the arm and puts it on the mat and stands on the hand. Shayna stomps on the elbow and Belair goes into the turnbuckles. Baszler with a forearm and kick. Belair with a forearm but Shayna with a forearm of her own. Shayna with an arm bar. Baszler goes around the body to add more pressure and then she hyperextends the arm. Shayna kicks Belair in the leg and sends Belair to the mat. Shayna gets a near fall. Baszler with a double wrist lock. Baszler with a sleeper but Belair backs Shayna into the corner to escape. Shayna grabs the hair and connects with forearms and kicks. Baszler gets a near fall. Belair slaps Shayna and Shayna misses a knee. Belair with shoulders in the corner but she uses her injured shoulder. Belair with a hip toss and shoulder tackles using the injured arm. Belair with a drop kick and she misses a shoulder tackle but Belair with a spear for a near fall. Belair gets another near fall. Baszler goes for an arm bar but Belair with boots to Baszler and then she goes for a splash but Baszler gets her knees up. Baszler with a jumping knee for a near fall. Baszler with a forearm but Belair fires back. Belair with the advantage but Baszler with a kick and Belair misses punches. Baszler with punches and kicks. Belair whips Shayna in the midsection with her hair and it causes a cut on Shayna’s ribs. Shayna escapes a double underhook driver and Baszler sends Belair into the referee. Belair hits the KOT but the referee is down. Belair does not know what to do but Marina Shafir comes ot the ring and hits a spear. Duke comes to the ring and Belair hits a double underhood driver onto Shafir. Baszler applies the Kirifuda Clutch and Belair gets Baszler on her back. Belair with a deadlift suplex to get out of the hold. Belair gets back to her feet and goes up top. Belair kicks Duke to the floor and Belair goes for a 450 Splash but Baszler applies the Kirifuda Clutch. Belair tries to get back to her feet but Shayna keeps her on the mat. Belair gets back to her feet again but only for a moment. Belair gets to her feet but Shayna gets Belair back to the mat. We see Velveteen Dream in the front row with his female companions. They lock up and go to the floor while still locked up. They go to stalemate and return to the ring. Ciampa with a chop and Black with a waist lock take down and front face lock. Ciampa gets to the ropes and Black releases the hold. They lock up and Ciampa with a wrist lock and Black rolls through but Ciampa keeps Black on the mat with a pull of the hair. Ciampa slams the arm into the mat. Ciampa with a wrist lock and Black backs Ciampa into the turnbuckles. Ciampa with an Irish whip and Black floats over. Black gets a near fall. Black with a side head lock take down. Black with a back body drop and Black with a side head lock take down. Ciampa with a break but he punches Black. The referee tries to pull Ciampa out of the corner and Ciampa misses a punch. Black with punches and Ciampa with a knee. Black lands on his feet on a back body drop and connects with a knee. Ciampa goes to the floor and Black teases a dive to the floor. Black goes for Black Mass but CIampa avoids it. Ciampa goes to the mat and Black sits down next to him. Ciampa kicks Black and continues with the kicking. Black bounces off the ropes an he sends Ciampa to the floor. Black with a front face lock and Ciampa goes to the floor. Black with a plancha and they return to the ring. Black with kicks to CIampa. Ciampa begs for mercy and he goes for a kick but Black blocks it. Black with a kick and quebrads for a near fall. Ciampa goes to the floor and he returns to the apron. CIampa pulls Black to the floor and Black with a kick. Ciampa tries to send Black into the ring steps but Black stops short. Ciampa sends Black’s head into the ring steps and then he sends Black into another set of ring steps and Black’s knee hits the steps. Ciampa suplexes Black’s legs into the ring steps. They return to the ring and Ciampa drives the injured leg onto CIampa’s knee that has the brace. He does it again. Ciampa with a step over toe hold and he rolls through and sends Black to the mat. Ciampa kicks Black in the leg. Ciampa with punches and he drops a knee on the injured leg that is put on the middle rope. Ciampa with more knee drops and he ties the leg up in the ropes. Ciampa pulls Black while Black’s leg is in the ropes and Ciampa with a knee to the leg. Ciampa wraps the leg around the ring post and he punches Black. Ciampa wrings the leg into the ring post. CIampa does it a second time. Ciampa breaks the referee’s count and then he slams the leg into the post, but focusing on the other side of the knee. Ciampa with an atomic drop onto the announce table. Ciampa applauds his performance and pats himself on the back. Ciampa mocks Black and partakes of a beverage. Black with a kick to the chest and both men are down. Ciampa gets back into the ring and Black limps into the ring. Ciampa with a drop kick to the injured knee. Ciampa slams the leg into the mat. Ciampa chokes Black with his boot and then he stomps on Black. Ciampa with an STO and then Black rolls to the corner. Ciampa puts Black on the turnbuckles and he is put in the tree of woe. Ciampa kicks Black in the corner and then goes to the turnbuckles for knees to the leg. Black kicks Ciampa and Black gets to the mat. Ciampa with a punch from the turnbuckles and Black hits a running enzuigiri to send Ciampa to the floor. Black with punches and a knee. Black goes for a suplex but his knee gives out. Black with a kick. Black with a round kick and forearm. Black with a back elbow and clothesline. Black with a round kick and he gets a near fall. Ciampa with an inside cradle for a near fall. CIampa goes for Fairy Tale Ending but Black escapes. Black misses Black Mass. Black lands on his feet on Fairy Tale Ending and Ciampa with an elbow to block Black Mass. Black drops down on a sunset flip for a near fall. Black with two round kicks and a German suplex for a near fall. Black tries to pull Ciampa up for Black Mass but Ciampa falls to the mat. Ciampa with a dragon screw leg whip and a single leg crab. Black escapes and Black with a single leg crab of his own. Black has to release the hold due to the pressure on the injured knee. Ciampa goes to the apron and he grabs the leg. Black with a spinning back elbow. Black goes to the apron for a slingshot move but his knee gives out and Ciampa with a Tower of London on the apron for a near fall. Ciampa with a running knee to the head for a near fall. Ciampa pulls Black up with his boot and Black with a jumping knee. Ciampa with a jumping knee of his own. Ciampa with punches. Black with a forearm. They go back and forth. Ciampa with a boot to the head but Black with a boot. Ciampa with a rollup for a near fall. Ciampa with another near fall. Black with kicks but Ciampa with a clothesline. Ciampa misses the knee when Black blocks it. Black pulls down the knee pad and he hits a double stomp when he avoids a drop kick to the knee. Black blocks a kick and Black with a jumping knee to the back. Black with a brainbuster for a near fall. CIampa rolls to the floor. Black goes to the apron and hits the moonsault onto Ciampa. CIampa gets back to the ring and Black slips in the water at ringside. Ciampa with Fairy Tale Ending for a near fall. Ciampa goes to the floor and he pulls up the same mat that Johnny Gargano pulled up earlier in the night but Ciampa does it for the whole length of the side of the ring. Ciampa pulls Black over the apron and he argues with the referee. Black with Meteora off the apron and Ciampa hits the exposed floor. Black with Black Mass but Black has to crawl to make the cover but Ciampa rolls to his chest. They get back to their feet and Black goes for another Black Mass but Ciampa pulls the referee into the way. Black with a knee but Ciampa rolls Black into the ropes and hits a hanging DDT followed by Fairy Tale Ending for a near fall. Ciampa sets for another Fairy Tale Ending and hits it. CIampa holds on for another one but Black with a round kick and he misses Black Mass and his knee gives out. CIampa with Fairy Tale Ending for the three count.